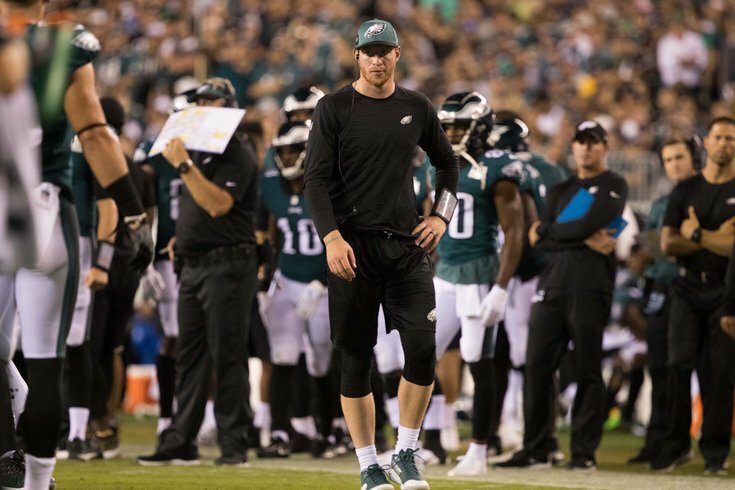 According to Adam Schefter of ESPN, Philadelphia Eagles quarterback Carson Wentz is "on track to return next Sunday against the Indianapolis Colts." This jibes with a report this time last week from Chris Mortensen of ESPN that said that the Eagles were optimistic about return to the lineup soon. Of course, Nick Foles (or perhaps more accurately stated, the Eagles' defense) held down the fort for Wentz Week 1, when the Eagles beat the Atlanta Falcons 18-12. Foles will have at least one more start against the Tampa Bay Buccaneers today.